Halleck orders the arrest of the Governor of Virginia, William “Extra Billy” Smith. 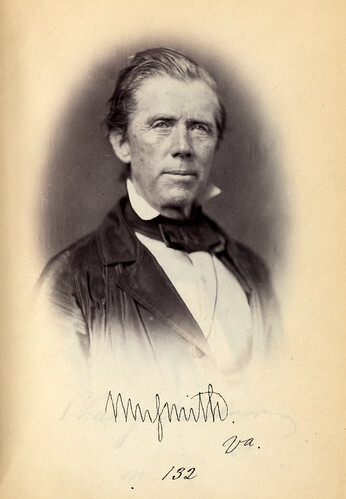 RICHMOND, VA., May 5, 1865-4 p. m.
Endeavor to arrest Governor “Extra” Billy Smith. He is believed to be in North Carolina or on the border of South Carolina. in this observe no department lines. This entry was posted in Henry Halleck, J.M. Schofield, Virginia, William Tecumseh Sherman. Bookmark the permalink.